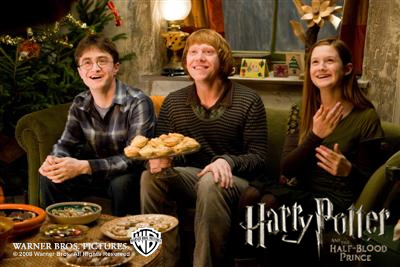 New Burrow Picture With Harry, Ginny, And Ron. Too bad we won`t be seeing this movie until next summer. They are so cute and portray three of my favorite characters. It looks like they are having fun.